We have all gotten used to the average look of a bee—round fliers with black and yellow stripes. But this bee type has an extra long feature distinguishing them from the rest of the hive. 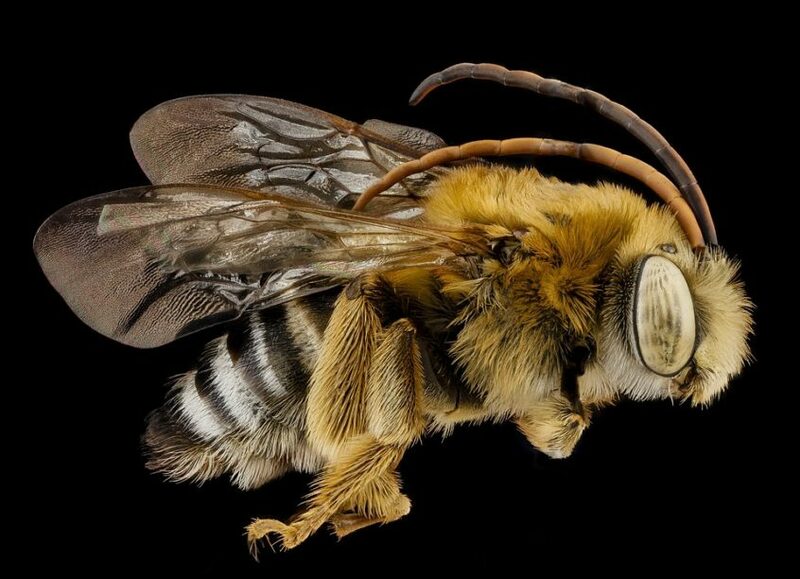 The long-horned bee is unique with their added antennas to the bodies. These little buzzers put their additions to good use when it comes to collecting pollen and make themselves more distinctive than the rest. Next time you are in the garden, look out for the antennas for these bees and know you’ve got some long-horned bees in your midst. The bees with long antennae have 120 species just like them in North America. They buzz from flower to flower getting their pollen and looking cool with their added feature. Find out more about what makes this bee type a great addition to your garden. It is often hard to distinguish the gender of an animal unless they have noticeable differences. You can quickly tell the male and female long-horned bees by the length of their antennas, as their key features of long-horned bees. Even though the name would make you think they have the same measurements, males have longer antennas than the females. If you happen to get close to one, look for the length and see if you have a new male or female friend. These pollinators are particular with the food they eat, just like the squash bees. Long-horned bees are prone to gather pollen from the sunflowers, mallows, and asters. Their dense hair on the hind legs carries the dust to their hive for nourishment. Everyone has a favorite food, so it is no wonder long-horned bees have their favorite type of pollen to indulge on. Biscuits and honey are one of life’s best combinations, but little did we know bees were making their bread to nibble. Female long-horned bees are known to take pollen back to their nest and create a “bee bread” to feed their larvae babies. We wish they could share the recipe to what could be a delicious treat. Bee Masters of Las Vegas has a long history of providing quality bee removal throughout the valley. Our family company values ethical exterminations to avoid a disruption in the bee population. Contact us today if you are looking for the removal of Africanized bees and their hive.